PART 4 - Gucci Mane talks about his jewelry collection & more w/ Miss Info! PART 3 - EXCLUSIVE: Gucci Mane Interview on ArtistDirect! New Gucci Mane Album - On iTunes NOW! The new Gucci Mane album is finally here! Get the Appeal on iTunes now & hear all the new joints featuring Nicki Minaj, Bun B, Trey Songz, Swizz Beatz, Wyclef & more! NEW Gucci Mane Sound Board! NEW SONG - "Lil Friend" , Listen Below! Listen to “Lil Friend” featuring Bun B off the upcoming Appeal Album 9/28! "Missing" premiering on XXLmag.com right now! 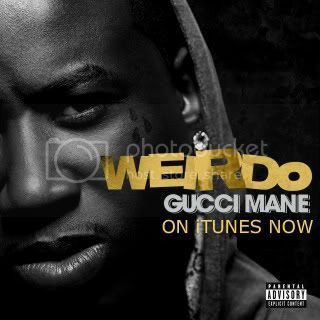 New Gucci Mane Single "Weirdo" on iTunes! Click to buy Gucci Mane's new track "Weirdo" exclusively on iTunes fresh off his sophomore album "The Appeal"! 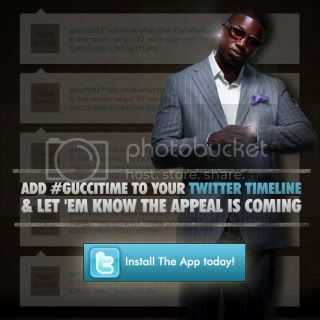 "Gucci Time" premiering on BET @ 6pm ET/5c! New Gucci Mane photo shoot pictures are now up! Trap Talk is now availble on iTunes! Catch Gucci Mane's Myspace Release Show this Saturday (9/11) in LA. Event is 21+ and early arrival is suggested! Click below for details! 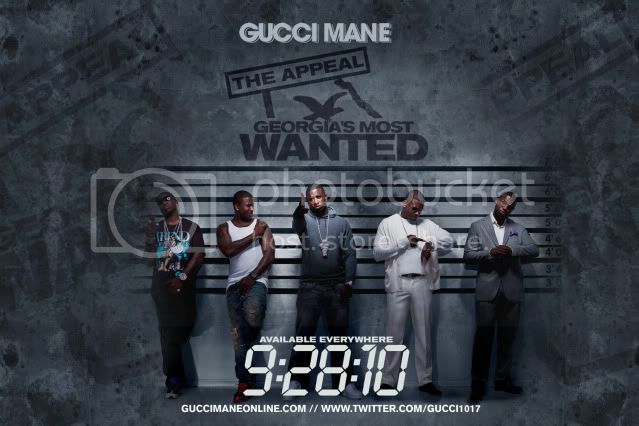 All Members of GucciManeOnline.com, You can now view the official track list for The Appeal: Georgia's Most Wanted! Click below to see all the tracks you'll get with the album on September 28th! 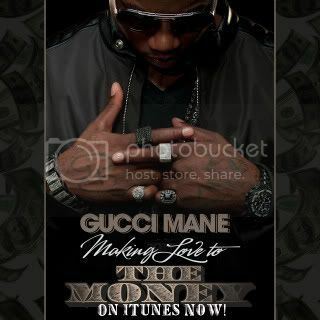 New Single "Making Love to the Money" on iTunes now! 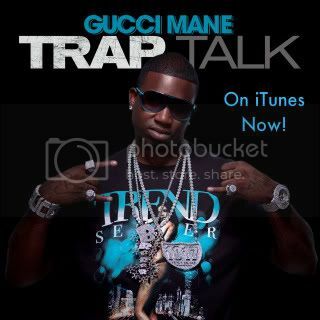 Check out the new single from Gucci Mane on iTunes! GUCCI TIME feat Swizz Beats - Official Video! Gucci Mane's brand new video for "Gucci Time" featuring Swizz Beatz premiered yesterday on Myspace Music!